golfsupport.nl is working together with a couple of renowned digital images banks from abroad, with a specialization in golf as well. Some of these partners have experience in shooting golf related topics for more than fifty years. This is an excellent contribution to the portfolio of golfsupport.nl, e.g. 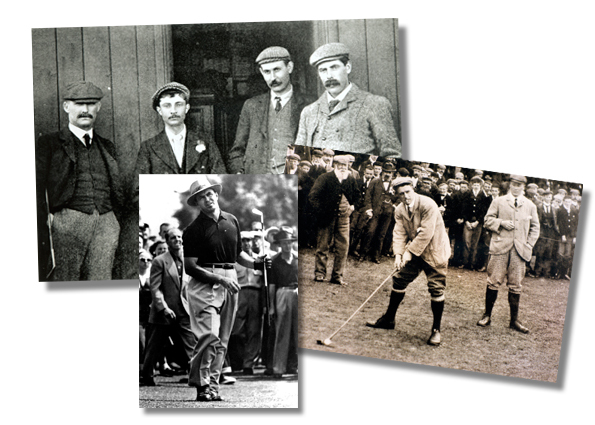 there is a wide range of historic photos, famous golf courses and resorts from all over the world. We have divided more than two hunderd and fifty pictures over 4 folders, which makes it easier to find your desired picture. How to find these pictures? 1. In the top-menu go to Categories/Colections > Historical. 2. Choose a period of time and click on a picture for a bigger size and more information. 2. Send us an e-mail with the filename of your desired picture. After we have received your order, we will sent the picture(s) by e-mail or to your ftp folder. It is not possible to download a hi res. picture from the Archive at this time. These exclusive hi res. pictures are only available for the media. Companies with a contract (fixed price deal) have to call us for the exact price.